Getting cleaned up and organized helps us feel more in control, helps us find things easily, and reduces mental confusion. Traditional Spring Cleaning is a great way to get a fresh start as the weather begins to change, clearing away mental cobwebs as rid ourselves of the physical clutter. Here is a checklist to help you get started. Gather all the tools you will need to give your office space a good cleaning. Start with three large boxes, labeled: Put Away, Give Away, Throw Away. If you have recycling available, you may also include recycling boxes for glass, paper and plastics. It is also handy to have a Working box, in which you can store things that you plan to put back after cleaning. As the boxes become filled, take a few minutes to dispose of the items as categorized. For example, you may empty the Throw Away box in the dumpster or primary garbage can, add your recycling to your recycling bins, and stack your donations in your garage or in the trunk of your car. Desk: Remove everything from your desk top (I like to put all items in a Working box), and clean all surfaces, including the top, sides, and legs. Clean, dust or sanitize each object as you replace it. Put any objects that do not belong on your desk in one of other containers listed above. Desk drawers: Empty out the drawers (I prefer to do this one drawer at a time). Clean out the inside of the drawer, paying attention to the corners and the handle (where dirt accumulates). Clean, dust or sanitize each object as you replace it. Put any objects that do not belong on your desk in one of other containers listed above. Bookcase: Remove all books, magazines, knickknacks and materials from bookcase. Wipe down all areas, using canned air to blow out dust in corners. Dust book spines and tops as you re-shelve your books. File any papers or materials you wish to keep but not display in appropriate place, and put remaining items in a donation box. Bulletin board: Remove all items from your bulletin board, and wipe the frame. Discard any out-dated materials, and replace those items you wish to keep. Furniture: Spot clean stains, using a fabric or leather cleaner as appropriate. Vacuum fabric, and wipe all wooden, plastic or metal pieces with appropriate cleaning tools. Floor: Vacuum or sweep, moving large pieces of furniture so that you pick up all the dust. Phone: Use a sanitizing wipe to clean the handset, keypad and cord. Dry with microfiber cloth if necessary. Computer: Work from top to bottom, wiping the screen with a microfiber computer cloth, as well as dusting the hard drive and keyboard. Use canned air to clean between the keys on your keyboard. Printer: Clean the exterior with an electrostatic cloth and a wipe if necessary. Some printers have head cleaners, but some do not need them. Follow the manufacturer's recommendations. Computer desktop: Put away or delete all files on your desktop, except those files and folders that you use so often that you need a visible short cut. If you need a way to reorganize your computer, check out the many resources online, such as those listed here. Back up your files: Choose an automatic system for backing up your electronic files. I like Google Drive, but others prefer systems such as Mozy, Carbonite, Sugar Sync, and so on. And you're done! Doesn't that feel great? Now that your clutter is cleared, you probably feel tired but energized and excited about moving forward. Go, YOU! 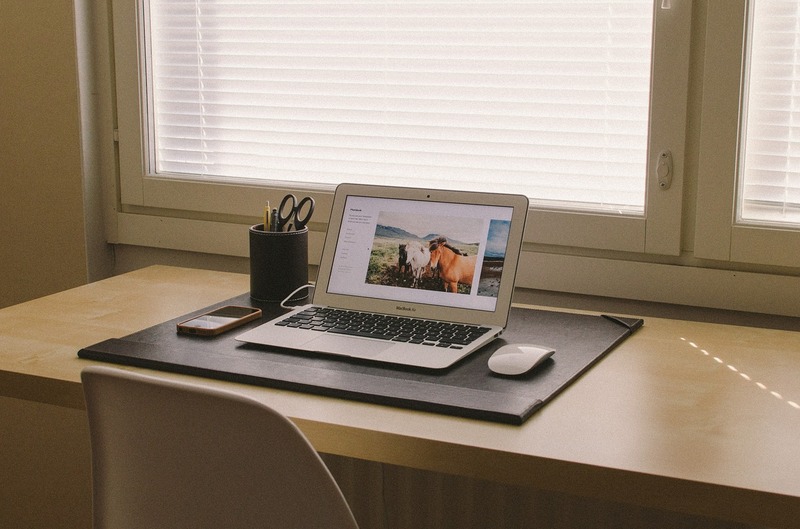 Checklist: How to Spring Clean Your (Home or Virtual) Office © 2015 Veronika Noize. All rights reserved.